Brought to market by RE/MAX Partners Leixlip – A unique opportunity to acquire a 4 bedroomed penthouse apartment spanning c. 1625 sq. 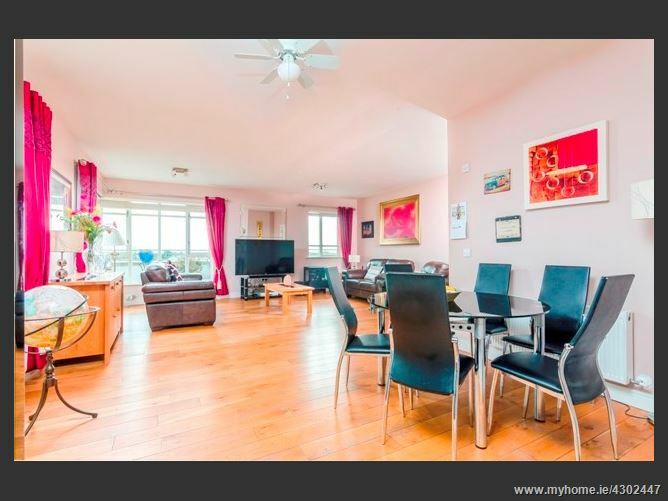 ft. with triple aspect wraparound balconies affording superb views over Leixlip and North Kildare. This property comes to market in immaculate condition throughout having been finished to a very high standard initially and carefully maintained since. Accommodation is generous and consists of a hallway leading to an open plan lounge, dining room and high gloss contemporary kitchen. Access from the lounge to the south facing main terrace is via double French doors. 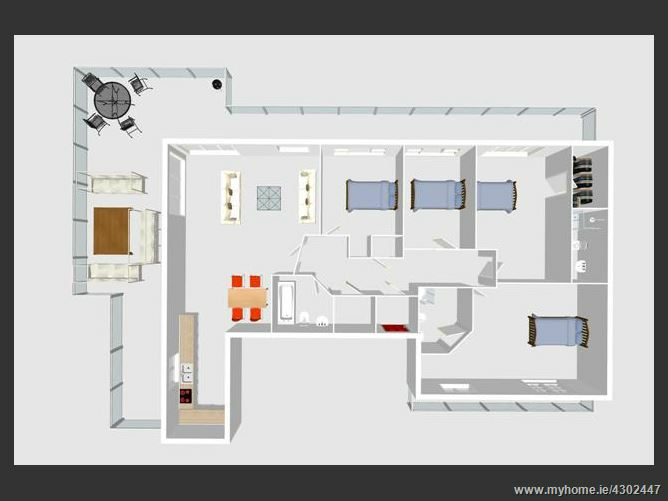 All bedrooms are double size and two have ensuite bathrooms in addition to the general bathroom. 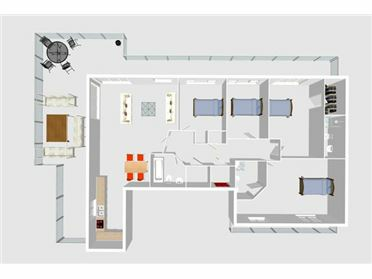 The master bedroom accesses the balcony from a westerly orientation and bedroom two has access from a southerly orientation. Finishes throughout are high end with a well fitted kitchen with granite worktops, solid wooden flooring or quality tiling throughout and high-end sanitary ware in the bathroom and ensuites. Located in Beech Park on the Easton road this property is in a super position just a few minutes’ drive from the M4 motorway network and within walking distance of Louisa Bridge railway station, Leixlip, Intel and all shops and amenities. Light fitting, recessed lighting, storage unit, hot press,solid oak wooden floor. Light fitting, spot lights, high quality cream high gloss kitchen, granite worktop and splash, stainless steel sink, area plumbed, American fridge freezer, integrated dishwasher, double oven, hob, extractor fan, wine rack, patio door leading to balcony area, ceramic tiles, TV point, phone point, washing machine, microwave, curtains, blinds.